The tool makes your work with Microsoft Excel formulas a lot easier. It can change all absolute cell references in the selected range to relative ones and vice versa. And if your worksheet has started to recalculate slowly because of many complex formulas, you can replace them with calculated values in a click. Convert formulas to values If you need static data in a worksheet, replace all formulas in a range with their results. Switch between relative and absolute references Depending on the structure of your data set, change references in all selected formulas to relative or absolute. …and copy your formula down to calculate values in each row. Have all the formulas in the range replaced with calculated values. …and copy your formula wherever you want. What is Convert Formulas and what do I need it for? 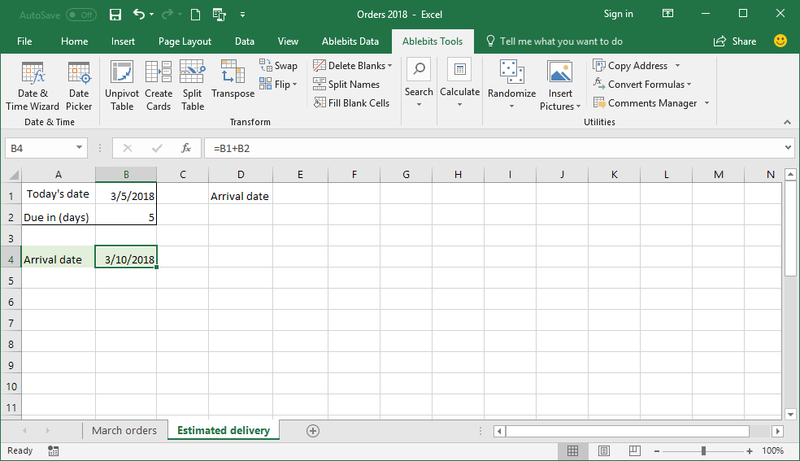 By default, all cell references in Excel are relative. When you copy such a formula to another cell, the references change based on relative positions of rows and columns. 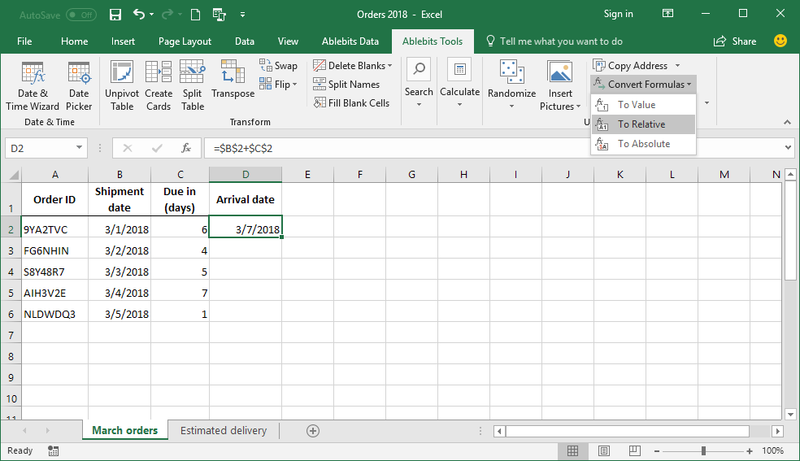 This works fine most of the time, but in some cases, you may need to lock the column and row coordinates so that your formula always refers to a specific cell. This is done by using absolute references. Our tool can change all references in all selected cells to absolute or relative in one go. 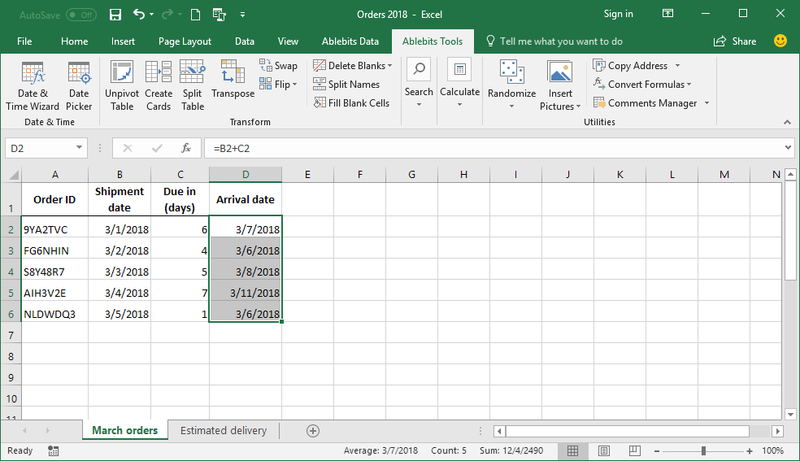 In case you want to improve Excel performance or are sharing your worksheet with someone, you may want to replace formulas with their results. The add-in can do this as well. Is there a built-in feature to convert formula to value in Excel? Sure. 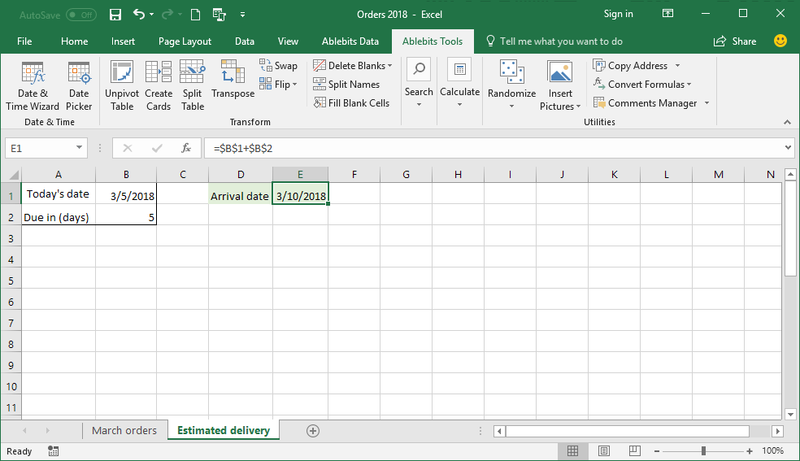 To replace a formula with its calculated value in a single cell, you can simply delete the formula and type the result manually. In a range of cells, this can be done by using the Paste Special > Values option. With our tool installed in your Excel, you can change all selected formulas to their values in a single button click. Can I not change cell references in formulas by myself? Of course, you can. 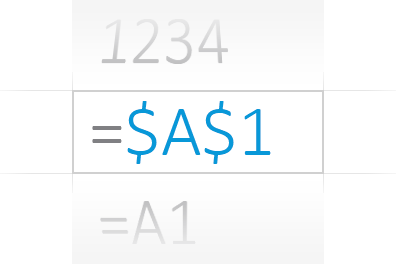 You can select a cell with your formula, enter the Edit mode, and then type or delete the $ sign manually. Or, select the reference you want to change and press F4 on your keyboard to toggle between 4 reference types. And then, you repeat the above steps for every single cell. With the Convert Formulas tool, you simply select a range of cells and click just one button on the ribbon to change all references in all formulas. How to convert formulas to values? Select the range with formulas. On the Ablebits Tools tab, click Convert Formulas > To Values. How to change multiple cell references to absolute? On the Ablebits Tools tab, click Convert Formulas > To Absolute. How to make all cell references relative? On the Ablebits Tools tab, click Convert Formulas > To Relative.